DeSouza Brown > Blog > From the Experts > Don’t Be Put On Hold Again! A recent study conducted by ApartmentGuide.com showed that some people were waiting as long as 8 minutes when calling an apartment community between 9am and 5pm! Who has time for that?!? And of the almost 3 million calls made during their survey period, 32% were made outside of normal business hours, so the phone call was never even answered. We are open 24/7 Online! All of our professionally managed communities have enhanced websites that not only provide you with beautiful photos of the apartments and community, but also reveal realtime availability and even allow you to place a hold immediately on an apartment! Not sure how to get to us? We have a great Google Maps tool built into our websites! Our sites also link up to our social media pages, so you can even see what our "online community" looks like on Facebook, Twitter, and Pinterest! 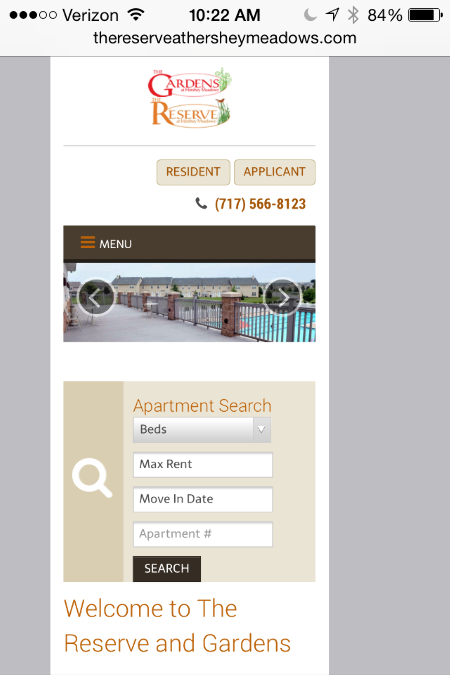 All of our community websites adapt to the device in which you are viewing from. See all of the same great photos without the hassle of zooming in and out and worrysome navigation! And yes, because the site has the same functionality, you are able to place a hold immediately on an apartment right from your phone or tablet, wherever you are in the world! We have professional and experienced on-site management! All of the DeSouza Brown communities have professionally trained leasing and management staff on site, and are only a click away. Should you require more information from them, or if you would like to set up a personal showing of the home you have been researching online, we have a great tool on our website that will allow you to get in contact with a member of our staff! 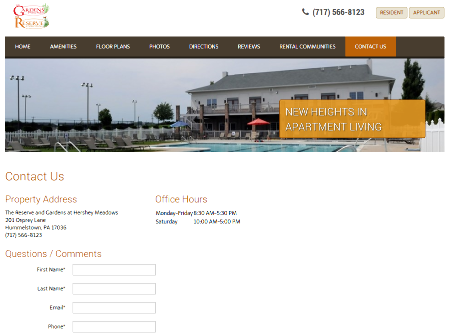 The "Contact Us" page will immediately send an email notification to our on-site leasing staff. Please let us know what your preferred method of contact is so that we can get back with you promptly! For more information on the AG survey.